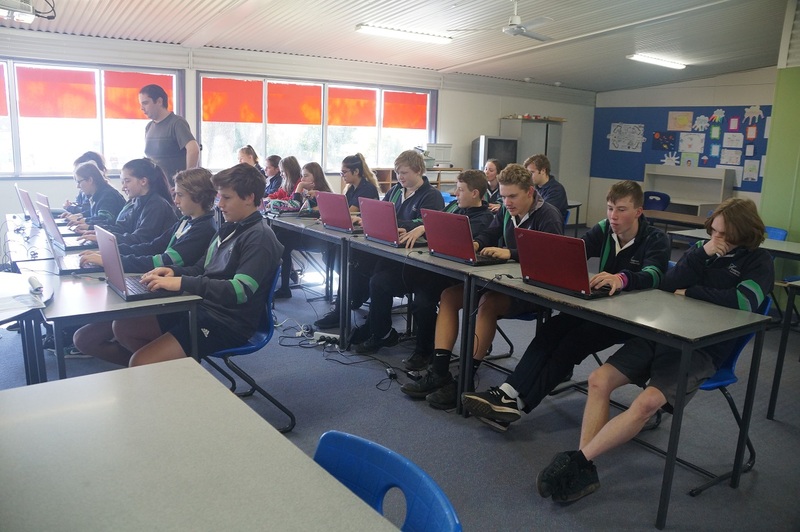 Kyabram P-12 Year 9 students enjoyed a day learning about the variety of careers in Information Communication Technology, including locally based careers. Six very different workshops demonstrated a wide range of ways ICT is used, from robotics and engineering, game design, hardware, artistic creativity, drones and technology as learning tools. All the workshops were very hands on and students enjoyed using the equipment as they learnt about the careers and pathways involved. Mark Schumann from Advance Computing provided the keynote presentation at the start of the day, showcasing the software solutions Advance has created for local businesses using Microsoft tools. Workshop presenters were GO TAFE, La Trobe University, Campaspe Library Services, Advance Computing, Splatoon Cartoons and Goulburn Murray Water. Wellbeing co-ordinators from schools across our region attended a training session at the end of May on implementing the Continuum of Need tool. The tool is used both to map the needs of students on a continuum and provide contact details for support services. Vanessa McCormick from St Arnaud P-12 College delivered the training session. St Arnaud has been using the tool for several years and the service agencies there meet every six weeks to ensure that vulnerable young people are appropriately supported. All students in St Arnaud are now mapped beginning at kindergarten. As needs are identified and supported the improvements for each student can also be mapped on the tool and any issues quickly addressed. A service directory of Echuca agencies has been created by the CCLLEN and linked to the tool. A Kyabram version is currently being created. The two major combined school Beacon events, the Charter Signing Ceremony held in April and the Careers Expo in May, were both outstanding events, involving 370 Year 9/10 students from Echuca College, Moama Anglican Grammar School, River City Christian College and St Joseph’s College. 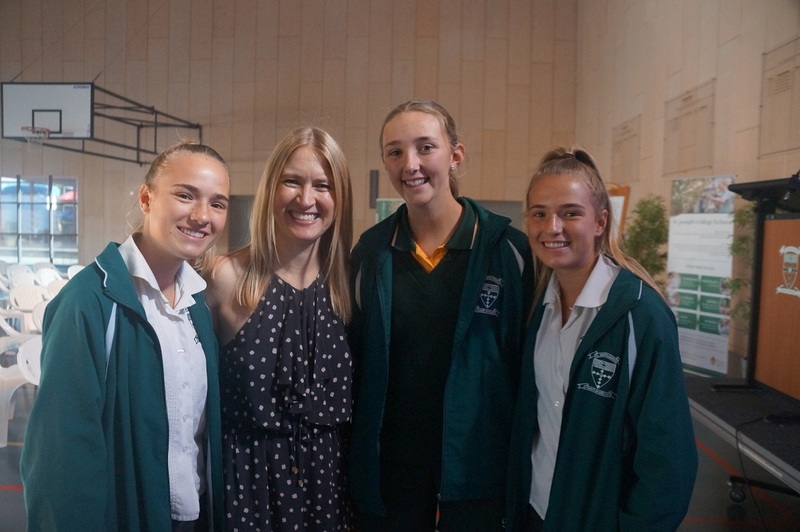 One of the highlights of the Charter Signing Ceremony held at St Joseph’s College was the keynote speaker, Joanna Werner from Werner Productions, (pictured with St Joseph's students) who shared her story from growing up in Gunbower to becoming an internationally recognised television and movie producer. Joanna encouraged the students to not feel disadvantaged because they’re from the country, but to follow their passions and take advantage of any opportunities. The students respectfully signed the Charter Boards, pledging their commitment to completing their schooling, finding employment or attending higher education. 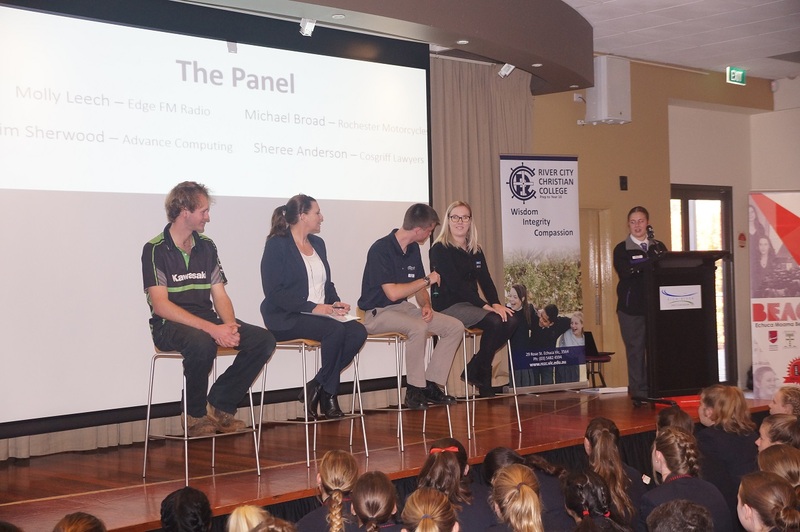 The Beacon Careers Expo held at Rich River Golf Club Resort on 22 May was kicked off by a panel of speakers from four different career areas (pictured above). Molly Leech (Edge FM Radio) Michael Broad (Rochester Motor Cycles), Sheree Anderson (Cosgriff Lawyers) and Bim Sherwood (Advance Computing) shared their varied career stories and passed on advice to the students on how to get the most out of the day and making decisions about their future career pathways. The students were allocated five workshops from 52 career workshops on offer, run by local business members. We received excellent feedback from the students and some great anecdotal stories on the value of these sessions. The evaluation completed after the event indicated a good shift of the students having some idea of their career pathway before the expo to a better idea of their career pathway after the event. Rich River Golf Club was an ideal location for the Expo providing a variety of different spaces to accommodate the diverse range of careers featured. We received amazing support from the local business community. 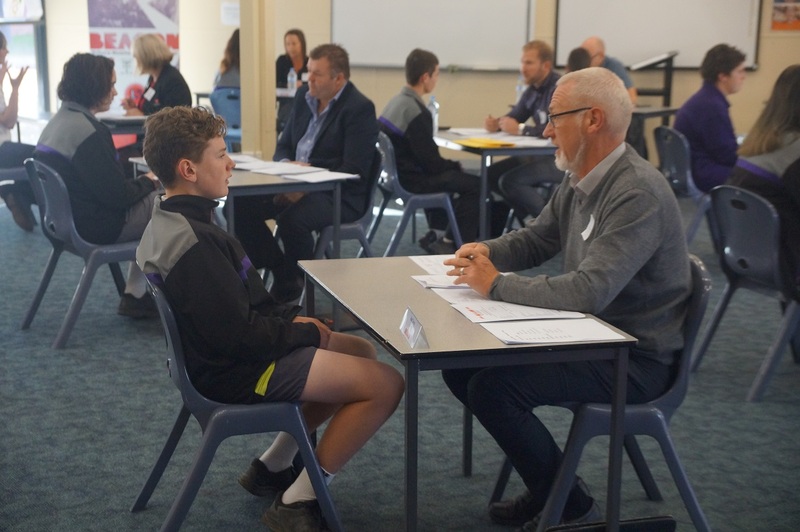 Mock Interviews: Year 9 students from Echuca College, Moama Anglican Grammar School and River City Christian College have completed Mock Job Interviews conducted by community members at the individual schools. St Joseph’s College’s interviews are coming up in September. All the students had the opportunity to prepare for the interviews with their school’s career program and Interview Technique Sessions facilitated by Jacq Campbell, CCLLEN Structured Workplace Learning Coordinator and Beacon. The students have been responsive and engaged in these sessions which included handshake activities and practising their responses to interview questions. Thanks for the support from our community members Mick Kenna and Sue Turner and organisations that provided interviewers: Campaspe Shire, CLRS, NuManz Embroidery, NAB, C4EM, Insurance House, Vivid, Bunnings Echuca, Murray River Council and Moama Bowling Club.